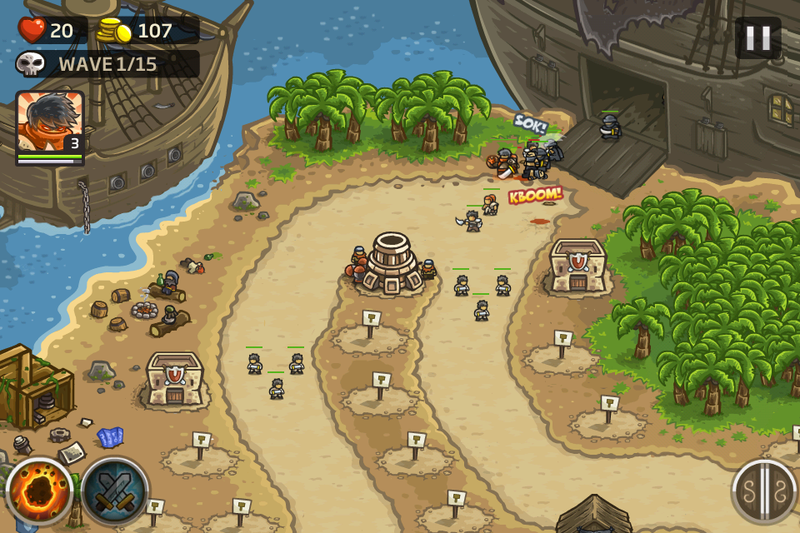 Fans of Kingdom Rush will be very familiar with Frontiers’ gameplay. 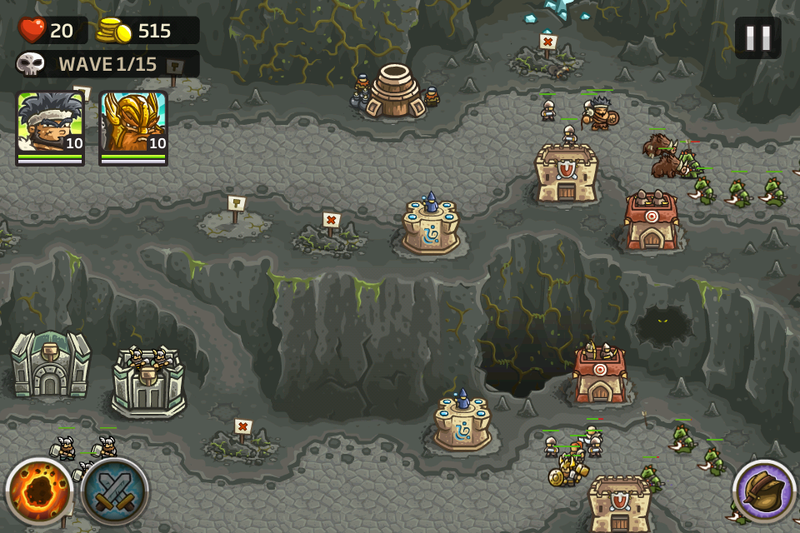 You can think of Frontiers as the Angry Birds: Seasons of the Kingdom Rush franchise: it’s more remix than innovation. Still, if you liked the frenetic strategy, endearing artwork, and memorable personalities of the first game, you’ll enjoy Kingdom Rush Frontiers as well. 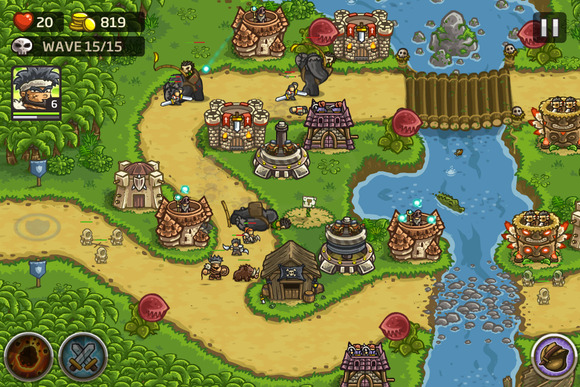 Kingdom Rush Frontiers has a wide variety of locals and enemies. As in the original title, you’re commanding an army of cartoon soldiers as they seek to defend their lands. You’ll get mission briefs and updates on the story—something about evil tribesman invading—then you’ll deploy towers to kill them all. The tribesman/cannibal enemies are perhaps not as well-worn as the high fantasy enemies the first game utilized, but the "evil tribesman" plotline feels a bit tone-deaf and borderline offensive. The campaign appears a bit scattered at points too, introducing gimmicky enemies that are hard to kill (teleporting, laser-gun toting) and break from both the overall medieval theme and the rock-paper-scissors combat mechanic Armor Games perfected in the original game. The jokes and easter-eggs are equally anachronistic, but they’re still a highlight—look for an Indiana Jones reference in one of the temple stages and an exceptionally fun pirate-themed stage (with requisite Pirates of the Caribbean jokes). Over the dozen or so core campaign missions, Armor Games does a good job of introducing some new ways to make its familiar formula fresh. The earlier mentioned pirate stage allows you to hire pirates as well as command a waiting man-o-war to fire on your foes. 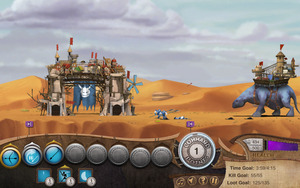 You’ll have to avoid sandworms in a desert stage, wall climbing lizardmen, and a sleeping dragon—keeping the gameplay exciting even if the core tools are all-too-familiar. Like in the original Kingdom Rush, you’ll have access to four types of towers that you can upgrade, with each tower having two branches at the highest tier. You can also upgrade the individual powers of the highest level towers, manage heroes, and deploy special powers like falling fireballs and reinforcements. All of these elements are essentially imported from the first game—the only difference being the highest level towers have different looks and powers now. For example, your barracks can either deploy assassins (heavily influenced by the Assassin’s Creed franchise) or templars (ditto) instead of the original’s barbarians and knights. You’ll also have access to witch doctors, crossbowmen, axe throwers, and new dwarven artillery. Waves after waves of enemies will attempt to break through your forces. While the new towers do perform slightly differently—for example, the crossbowmen tower have a falcon upgrade that will enhance accuracy for neighboring towers—the fundamental gameplay elements remain unchanged. Even the new enemies you’ll confront—tribesman, mummies, and lizard people—require similar tactics to stop. If anything, I found more situations where my build placement was more forgiving in Frontiers than in Kingdom Rush as the enemies tend to appear in identical groups in the various pathways, with similar weaknesses. As an example, the original Kingdom Rush had missions where spiders would come down one path and trolls came down another—one type of tower exploited one enemy’s weakness while tower took care of the other group. In Frontiers, I never had to be so careful with my placement. It’s hard to consider Kingdom Rush Frontiers a true sequel, but the amount of new levels, heroes, and content make it a worthy purchase in its own right. Over the several hours of the main campaign, you’ll journey from the sandworm harrowed deserts of one land to a tribesman-infested jungle of another before finally going deep underground to rescue a dwarven mining party and ultimately stop a century’s old demon. While perhaps a bit scattered at times and some of the charm wearing off the second time around, Kingdom Rush Frontiers is still one of the best tower defense and strategy games on the mobile platform. 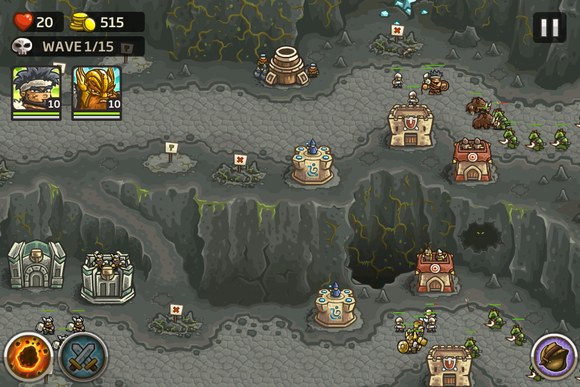 Though it loses its focus at times, Kingdom Rush Frontiers is still one of the best tower defense games on mobile.